Diverse products with "On Demand" to "UV Printing"
Fast delivery is able with "On Demand printing". Also Sheet fed offset press capable with a wide variety of products. 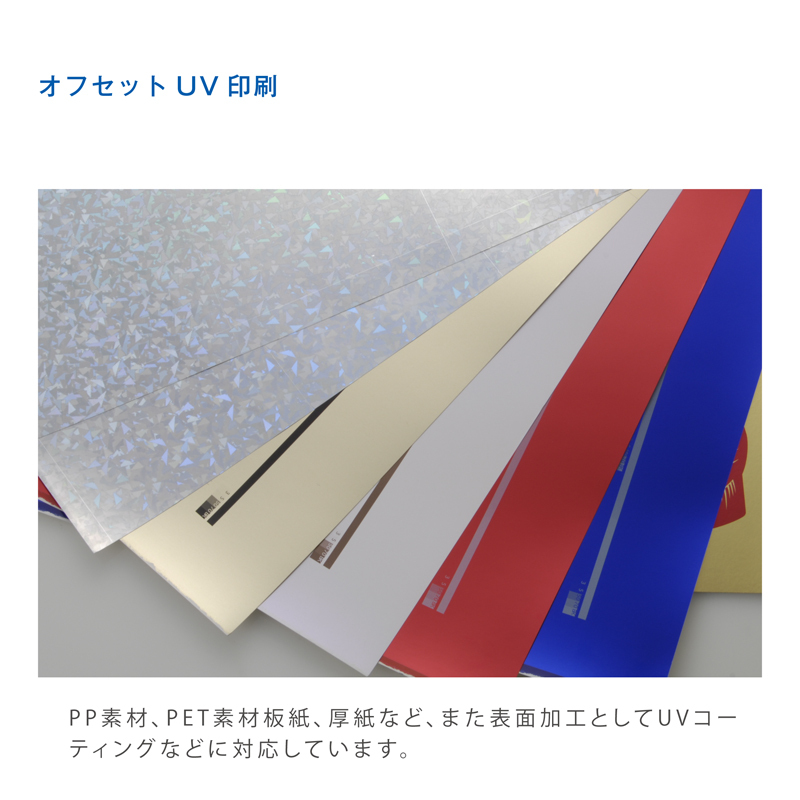 Such as Kiku 4(636 x 939mm) to Half Shiroku(788 x 544 mm) especially UV printing is avaliable with cardboard, paperboard, PP, PET materials. Supports Clear file material, PET material, paperboard, cardboard and more! We also support UV coating as a surface processing. From recieving data to printing in a short delivery time, we support small-lot items too. Avaliable from small sized print to full Bsize posters to fit your demands!